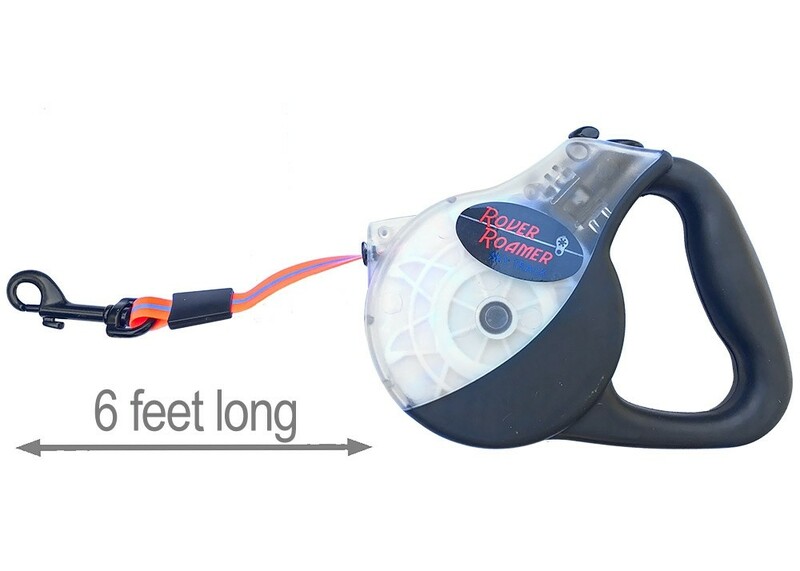 Retractable up to 6 feet, featuring durable and waterproof TPU belt material with reflective strip, the Rover Roamer retractable leash is perfect for any aerial dog run. Most retractable leashes allow too much lateral movement, causing the dog to get wrapped up around trees, poles, and patio furniture. The ergonomic, anti-slip handle is easy to grip. The belt material is rubber coated, extremely strong, and features high wear and abrasion resistance, high tensile strength and outstanding resistance to tear propagation, and high resistance to oils and grease. 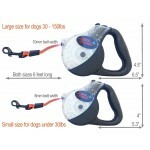 The retractable leash comes in two sizes for portability: the small size is recommended for dogs under 30 lbs but the larger size is good for all dog breeds and weight. 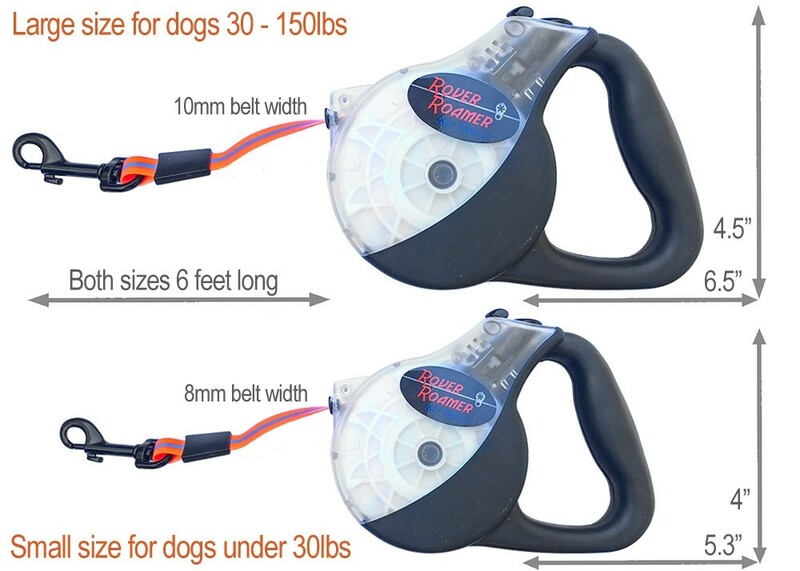 Combine with a bungee segment to enhance the dog's experience by providing a comfortable stretch. Choose the leash size option below. Once you have set up the line and have attached the pulley and carabiner, it's time to attach the leash. If you have a bungee segment, attach that between the retractable leash and the pulley/carabiner. This will allow the dog a comfortable stretch and put less stress its neck and body. This will also reduce the stress on the leash and bumpers.